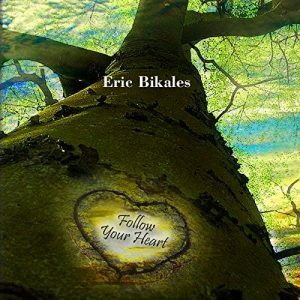 You name it; pianist Eric Bikales has done it. Following years of experience as a composer and performer in virtually every form and genre of music – as a studio musician, as a keyboard journeyman (traveling with likes of the Pointer Sisters, Keith Carradine, and Neil Sedaka), and as composer for popular and award-winning television and movies – he has turned his creative energy to creating music for solo piano. His latest release, “Follow Your Heart,” is the re-mastered and re-released version of his 2013 solo piano album “Follow Your Heart.” This updated version introduces lovely new artwork and also features three brand new compositions. Categorized as a Solo Piano/New Age album, this collection truly defies genre. Although many of the pieces have a distinct jazzy flavor, each magnificently displays Bikales’ unique voice, proficiency and artistry as a pianist. “Clockwork,” one of the new pieces, opens the album. This catchy number features jazz chords pulsing like the ticking of a clock and a luminescent bluesy melody. The eloquent ballad “Maybe Yes, Maybe No” projects both passion and sorrow. The title track, “Follow Your Heart,” is one of my favorites and is a poignant expression of the importance of fearlessly pursuing one’s dreams. Another soul-stirring piece, “The Closer You Get,” ebbs and flows like life’s journey, ending on a note of peace and contentment. “The Meeting” is another new work – brief, but with a crushing intensity. The fanciful reverie “Someday Someway” is another favorite. The expansive “Fabulous Island” brings back memories of stepping off a cruise ship onto the shores of a beautiful island somewhere in the bright blue waters of the Caribbean. 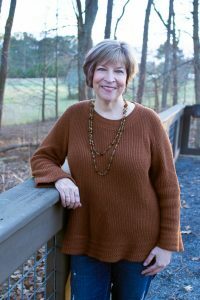 The autobiographical “Song for My Father” is a bluesy reflection. According to Bikales’ website, he comes from a musical family; his psychiatrist father and social worker mother played classical piano duets for fun and ran a summer camp for kids in the Kansas City area called Camellot, eventually handing the reins to his sisters who expanded it into a full time fine arts academy. What a legacy! “Mysterier” has a contemporary flair – it’s sort of a cross between Grieg and Bartok – with fascinating harmonies and dissonances. “Miles to Go” brought to mind hours spent on the road traveling to visit family in southern Illinois from my home near Atlanta, seeing the ever-changing scenery out the window as the wheels of the car keep on rolling. The exuberant “Franklin Jubilee,” a musical celebration of Bikales’ current place of residence, is another jazzy favorite. Gentle and expressive, “The Saint” brings the album to a peaceful conclusion. Bikales has said that his mission throughout his career has been to provide relief from the stress of daily life and to give his listeners their own chance at joyful discovery through the medium of music. In “Follow Your Heart,” he successfully accomplishes all that. This is one of my favorite albums of the year so far – very highly recommended!